Somerset web design agency Blaze Concepts are a multi-talented web design and search engine optimisation company that specializes in building search engine friendly web sites. We are a forward thinking collective of professionals with many years of experience in delivering web based new media. We embrace the latest web design techniques and technologies to help our clients make the web work better for them. 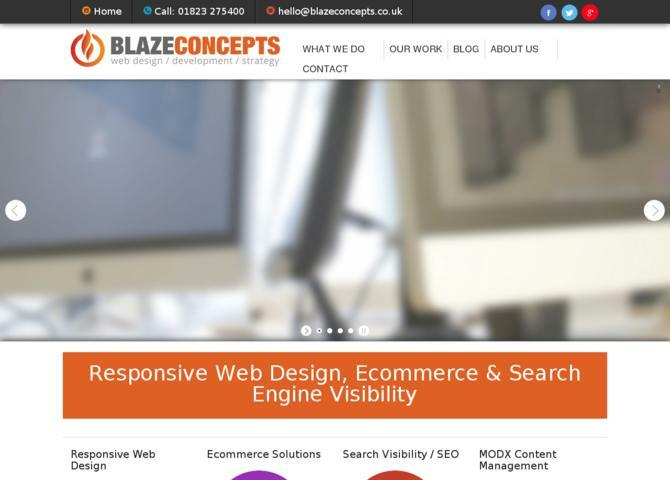 Visit Blaze Concepts - Somerset Web Design.